British Prime Minister David Cameron is using a meeting in Sweden with other top European leaders to escalate his campaign to prevent Jean-Claude Juncker from being named the next president of the European Commission. CameronopposesJuncker, theformerprime minister of Luxembourg, for being too much of a European federalist, which could work against Cameron’s plans to recast Britain’s relationship with the bloc, as he has pledged an "in/out" EU referendum for his nation by 2017. 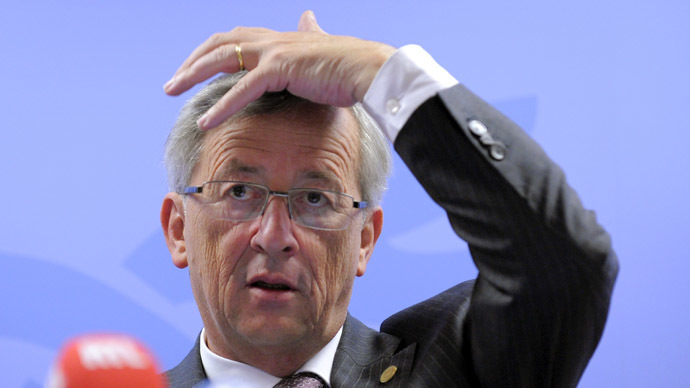 Juncker has the stated support of German Chancellor Angela Merkel, as well as the European People's Party, the top center-right political bloc in the European Parliament. Cameron, Merkel, and Dutch Premier Mark Rutte are meeting with Swedish Prime Minister Fredrik Reinfeldt at his country estate outside of Stockholm on Monday and Tuesday to discuss the EU, among other topics. Upon arrival at the meeting, Cameron said EU leaders, and not the European Parliament, should have the power to nominate a Commission presidential candidate. 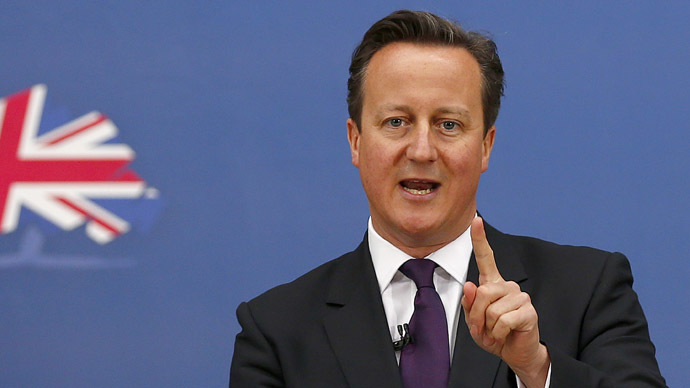 "I would just make this important point of principle, which is that, as the democratically elected leaders of Europe, we should be the ones who choose who should run these institutions, rather than accept some new process, which was never agreed," Cameron said, according to Reuters. Some members of the European Parliament say the assembly should have a top role in naming the next Commission president, citing European elections held last month. "Elected national leaders should not accept rules being broken on the pretext of democracy. It is the complete opposite - a stitch-up dressed as an election," the source said. 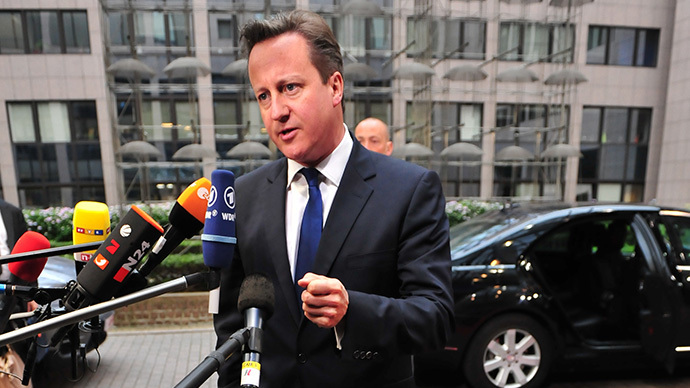 Though Juncker’s candidacy is not on the Swedish meeting’s official agenda, Cameron is expected to push his point of view with the others, especially Merkel, who has signaled a willingness to consider other candidates despite her support for Juncker. Ahead of the meeting, Cameron reportedly contacted Italian Prime Minister Matteo Renzi, Hungarian Prime Minister Viktor Orban, and Reinfeldt, who is opposed to Juncker and could be a compromise candidate himself. "I see a big risk in such a referendum. It would be bad for the EU and also bad for Sweden if Britain did not remain in the EU,” Reinfeldt said. Rutte is also opposed to Juncker and is scheduled to lobby the Irish prime minister to consider other candidates following the Swedish summit. 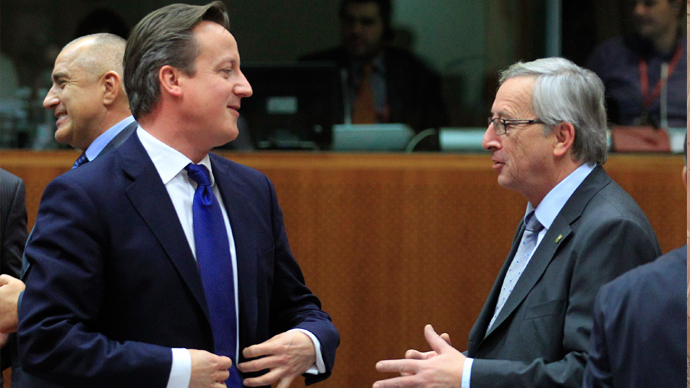 Meanwhile, Cameron said Monday that he has rallied "all major UK parties" in opposition to Juncker. "All major UK parties are now united on one point: Jean-Claude Juncker should not be President of the European Commission,” Cameron tweeted. The prime minister’s has staked much political capital – among other EU leaders and domestically – in the EU reform effort. "We want to see an EU which is more open, competitive and flexible - one that does less pointless interference but one that is effective in helping to get growth and jobs," Cameron said Monday from Sweden, according to BBC News. "Obviously there is a link to that agenda and the people who should be running these institutions but this meeting today is really about content and what Europe should be doing in the next few years." Danish Prime Minister Helle Thorning-Schmidt is considered an acceptable compromise candidate for Cameron, who has yet to endorse anyone for the Commission presidency. 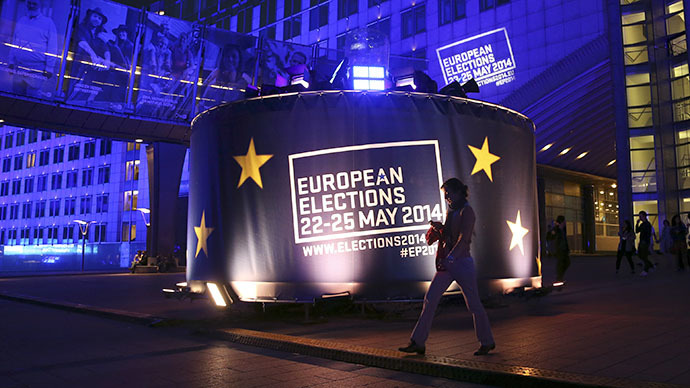 EU leaders are expected to determine a candidate by the end of this month.